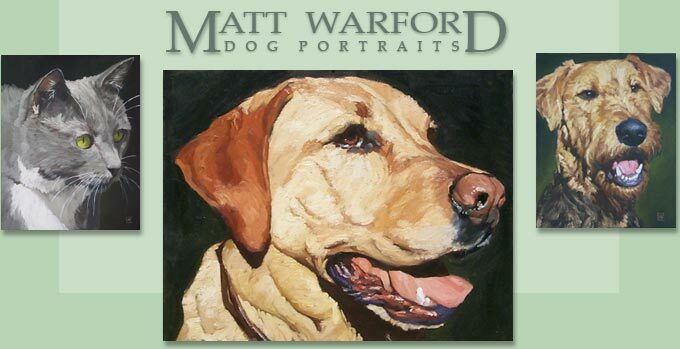 Welcome to Matt Warford’s pet portraits, where I’ve selected paintings from the hundreds of portrait commissions I’ve done over the years for you to browse through. As you’re enjoying the oil painting galleries, remember that each dog is unique, and I strive to bring out the individual personality of the subject. These paintings are all oil on canvas, done in a classic painterly realistic style, and each commission comes with a money back guarantee - I’m confident you will love it.